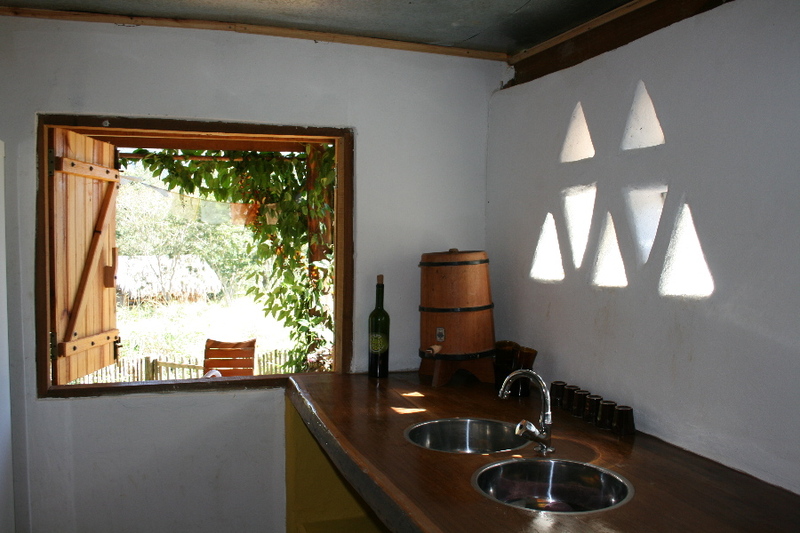 The eco-lodge was built on top of an existing toolshed built in traditional local clay stones. 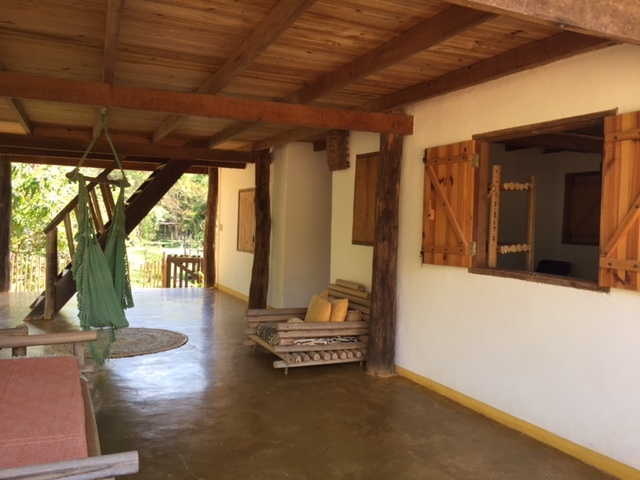 The old toolshed now serves as a bedroom on the ground floor of the building. 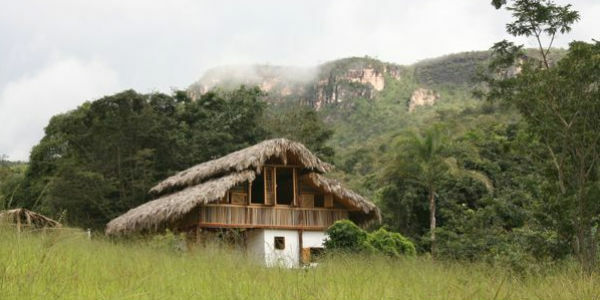 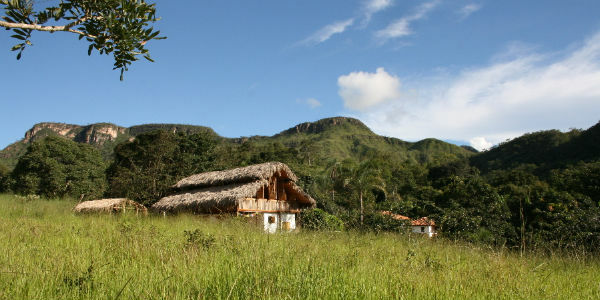 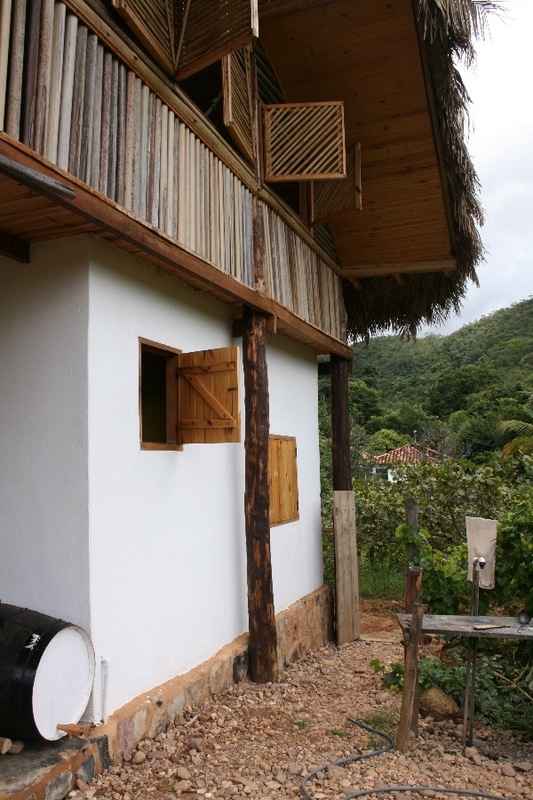 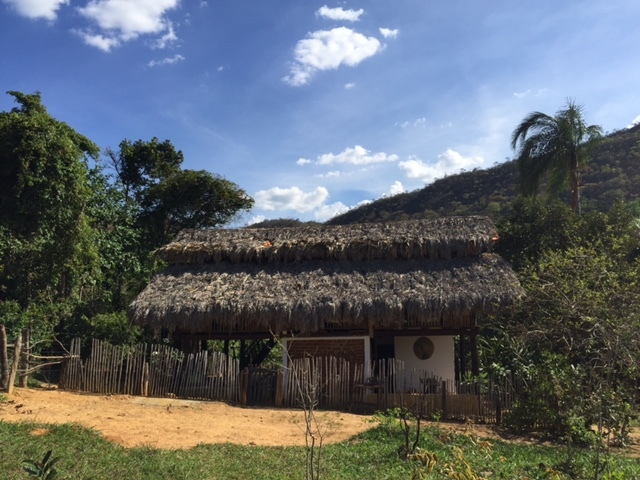 The eco-lodge is built mainly out of local sustainable materials. 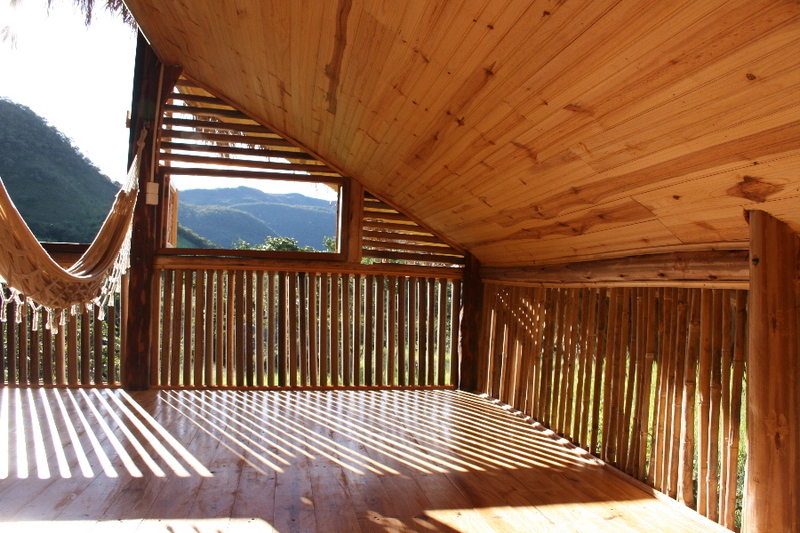 On the ground floor, the eco-lodge has a simple bathroom, kitchen, double bedroom and verandas on both sides of the building. 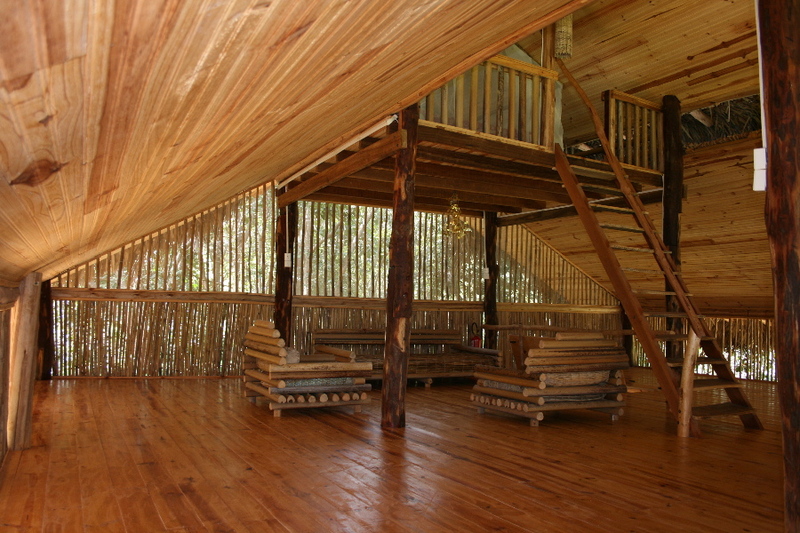 The first floor offers a big multifunctional living space.